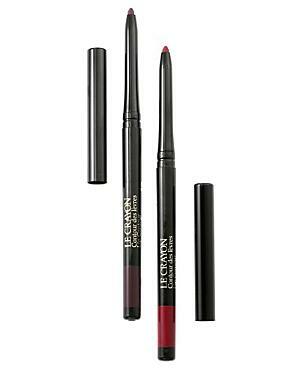 What It Is: An automatic lip pencil that never needs sharpening and glides on easily, for day-long definition and rich, creamy color. What It Does: Its soft, rounded tip swivels up to provide lips with lasting color and perfect definition while preventing feathering or bleeding. The anti-feathering formula won't fade, budge or smudge, so your lipstick lasts longer and looks fresh for hours.